You’ve guessed it, they all make use of looping in their music by using some form of loop pedal or other looping device. In particular Ed Sheeran has become heavily reliant on looping within his live shows, showing that all he needed to headline the Glastonbury festival was his guitar, his voice and his looper! Guitar loop pedals work by recording a signal from your guitar on to a tiny chip inside a standard foot pedal then playing it back at a time predetermined by the player. The total length of the loop you can record is limited by which loop pedal you are using. There are certain aspects within your practice session where a loop pedal can be of great help. Other than specific technique training, effective practice sessions should also include some creative aspect where you are free to explore on your guitar and create your own melodies and riffs. 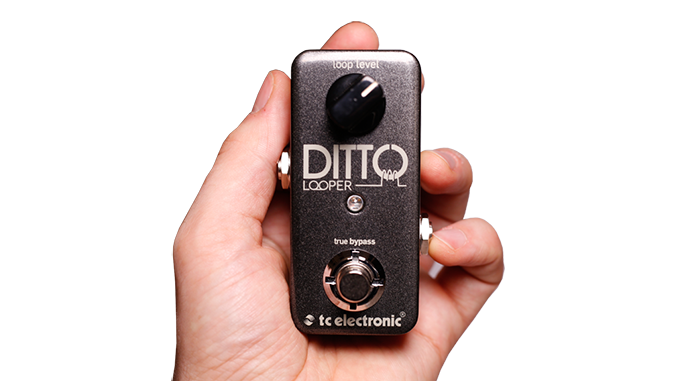 Loop pedals offer a great creative alternative to using backing tracks as you will be building your own backing track straight from your looper! You can start by creating a simple chord progression then looping it. This first loop then becomes your rhythm guitar track and will play on repeat until stopped. This allows you to be free to record another pass to experiment with scales, melodies and riffs and create your own lead guitar solos! This way of practice is much more immediate than finding your favourite backing track and putting it on repeat. 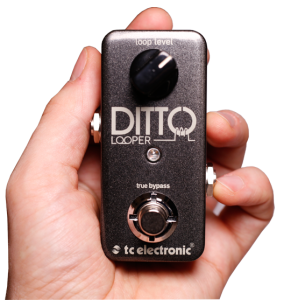 Before I had my TC electronic Ditto looper, I would have to switch on my computer, load up my audio sequencing software, get a decent record level, find a suitable amp plugin then and record a backing track, often by which time I’d forgotten that great riff I’d thought of! • Play through your chord sequence of riff a couple of times to get into the rhythm then activate your loop pedal exactly as you start the sequence or riff for the third time. This will eliminate any slight pauses in your loop that will occur by recording the first play of a sequence and will ensure its useful for a backing to play over. Don’t stop at one loop build a band!.. Once your familiar with your loop pedal and you’ve experimented playing over looped chords, try adding further loops on top of what has already been recorded. You can improvise a kick drum by hitting a muted low E string and adding other percussive effects by scraping the side of a pick on the strings or using harmonics for example. 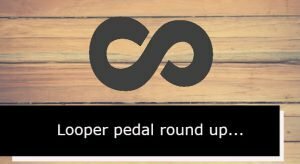 Loop pedals are also great tools to hear how guitar harmonies can sound together, play a riff and loop it then try experimenting with playing the same riff at a higher or lower pitch on the guitar. The same is true to hear how different scales sound against chord sequences and what type of mood or musical ‘flavour’ they bring to the sound. As useful as a loop pedal can be as a practice tool, there is no substitute for jamming with real musicians. Its not that loops sound ‘bad’ just remember what ever you record as a loop will play back in exactly the same way at exactly the same speed as you played it. When you learn to play together with a group of musicians there are subtle variations in tempo, mood and groove which enhance the music and give it life which helps to connect and send its message to the listener/audience. Thanks for reading and if you enjoyed this post or have any comments or questions about looping, please leave your comments below.